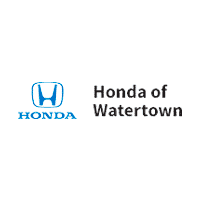 Ready to take on Watertown in a new vehicle, but want to be sure you’re getting a good deal? When you rely on our Honda lease incentives and finance deals, you bring home the car you have had your eye on without busting your budget. Whether you are looking for an SUV like the Honda CR-V for your Southbury family, or are interested in the comfort of a well-appointed sedan like the Honda Accord, we’re sure to have something that meets your needs. After you’ve taken a look at our current Honda lease incentives and finance specials, estimate your future monthly payments with our online auto finance calculator. Ready to learn more about the Honda special offers available at our dealership near Torrington? Contact us today to learn more, and to speak with our finance department about securing a competitive rate!